The most effective method in aesthetic medicine, providing an effect similar to that of surgical liposuction! Low-frequency ultrasound waves produced with a special device influence the fat tissue, creating the so-called cavitation effect. 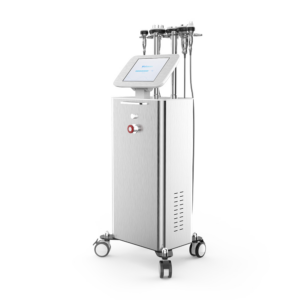 Zlimline Lipo² treatment system is designed for use in beauty salons and spas. Low-frequency ultrasound waves produced with a special device influence the fat tissue, creating the so-called cavitation effect: the formation of microbubbles (Lat. cavitas – emptiness). These bubbles expand, soften the fat tissue and break the membrane of adipocytes, or fat cells. As a result, fat storage reservoirs are disintegrated and it is impossible for fat to accumulate again in these areas. By choosing specific ultrasound parameters, only fat cells are targeted and dissolved. Released triglycerides, the building blocks of fat cells, are removed from the intercellular space by means of natural metabolic processes. Cavitation is a simple and totally painless procedure. A visible effect is achieved very early into the treatment course: the volume of accumulated fat in problem areas is reduced by 2–5 cm as soon as after the first treatment session. Results become more visible in the weeks to follow. Among other benefits of cavitation are improved blood circulation and stimulation of fibroblasts, improving the elasticity of skin and tightening it. 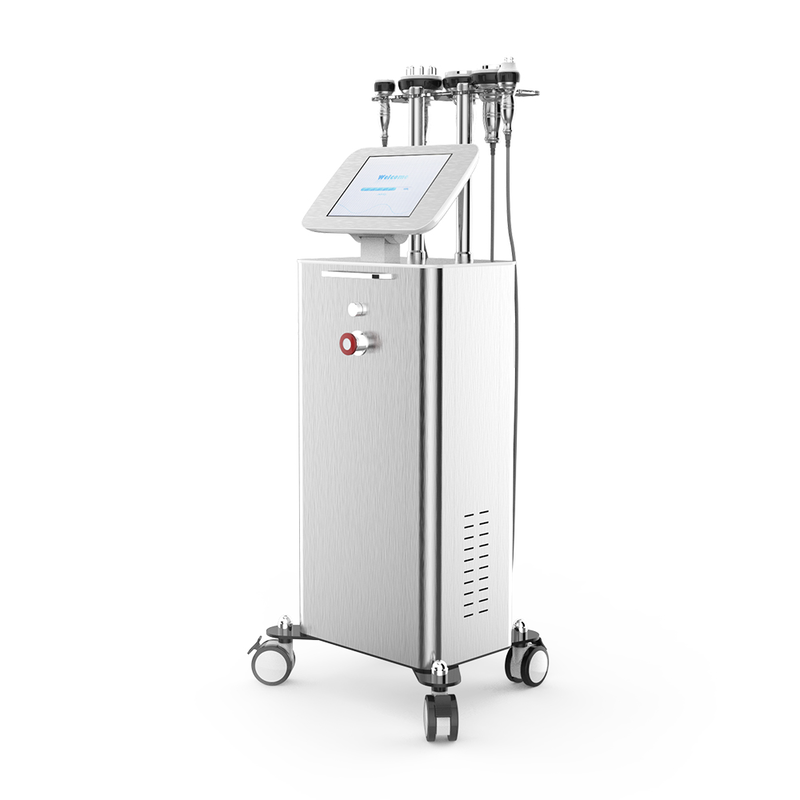 To accelerate and improve the removal of undesired compounds through the lymphatic circulatory system, it is advisable to combine cavitation with massage or moderate physical activity. A treatment course provides an effect comparable with liposuction. A trained specialist works with an ultrasound head on a targeted area. The length of an ultrasound cavitation treatment session, including preparation for it, is up to 60 minutes. It is not recommended to undergo cavitation sessions more often than once in seven days. A treatment course includes 3–10 sessions. If necessary, supportive therapy is done: 1–3 sessions every six months. We are happy to offer you a non-invasive, safe and effective method for reducing cellulite and excessive fat deposits – cavitation. We all know that there are some areas that seem to stay the same despite our all-out efforts. Areas that seem to be immune to exercise or dieting are fat deposits on knees, hips, abdomen and arms. So far, besides various invasive interventions, only procedures altering the structure of the adipose tissue have been available in the field of aesthetics and cosmetology. The only way to remove fat cells from problem areas has traditionally been through surgery, that is, liposuction. However, surgery is an invasive method (includes incisions) plus it involves a recovery period, hospital stay, swelling, wearing compression stockings and waiting for months to see results. Miostimulatsioon on impulssvoolude kasutamise protsess lihaste loomuliku töö taastamiseks. Kui elektrivool kulgeb mööda meie kudesid, suureneb vahetusprotsesside intensiivsus, muutub raku valkude füüsiline seisukord ning selle tulemusel hakkavad lihased kokku tõmbuma. Miostimulatsioon ravimeetodina on tuntud enam kui 20 aastat. Algselt kasutati miostimulatsiooni võimlemisena lamavatele haigetele. Impulssvoolude abil võis läbi viia lihaste treeningut aktiivse füüsilise treeninguta. Sama põhimõtte kandsid meedikud lihastele, mida ei saa treenida tavaviisil. Näiteks, näolihastele ning saavutasid üllatavat noorendavat efekti. Vanusega venivad välja kollageenkoed ja pikenevad, mis toob kaasa naha elastsuse vähenemise, lodevuse kasvu ja kortsude tekkimise. Naha pinguldamise kuuri läbiviimise ajal, toimub naha sügav soojenemine ehk niinimetatud Termaaž ning kollageeni ja elastiini uuendamine. Temperatuuri tõus naha sügavates kihtides toob kaasa kollageenkudede tihenemise, mis tagab kudede tugevnemise ja naha elastsuse suurenemise. 2-4 kuud peale RF Liftingu kuuri toimub uue tugevama kollageeni moodustumine, mis toob kaasa pikaajalise positiivse tulemuse mida on võrreldud lausa plastilise operatsiooniga. Vaakummassaaž (lümfimassaaž) on efektiivseim ravi tselluliidist ja armkoest vabanemiseks. Antud raviliik annab teie patsiendile siledama ja pringima naha ning aitab nahaaluskudet mõjutades vabaneda toksiinidest ning langetada kaalu. Information will be added shortly!